The “we” in this declaration was his collaborator and later fellow Nobel prize winner, James Watson, and the “secret” was the double helix structure of DNA. The pair had cracked a mystery that many eminent scientists had been struggling with for decades. The concept of DNA and its role in carrying genes from one generation to the next had been understood and accepted since the Second World War but no one had any clue as to its molecular structure and how it was able to perform its job. 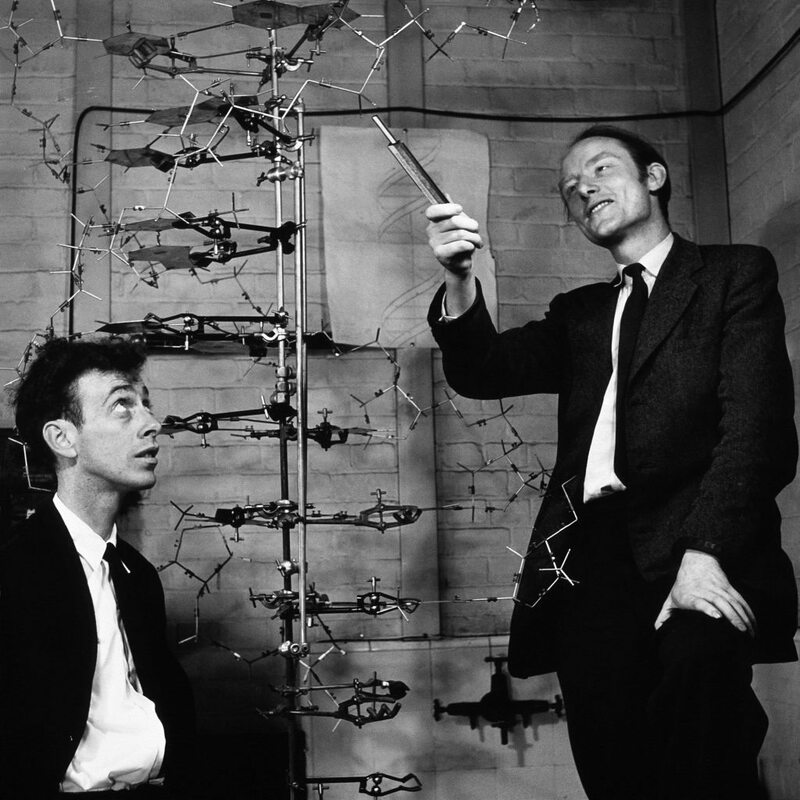 Watson and Crick’s, like many other scientists, worked on a model of what they thought DNA might look like but had no way of knowing if it was correct. Up in London, a team of researchers at King’s College had been experimenting with x-ray chyrstallography and one of them, Rosalind Franklin, had managed to capture a diffraction pattern from crystalline DNA showing a clear cross pattern as Watson and Crick had postulated. Maurice Wilkins let Watson see the image and, like that, the pair knew they had cracked it. So they went for lunch in the pub to celebrate. In his book ‘The Double Helix’, Watson remembered that: “At lunch Francis [Crick] winged into the Eagle to tell everyone within hearing distance that we had found the secret of life”. Crick was hazier on the exact details, particularly as to what he said, writing in his own memoirs, ‘What Mad Pursuit‘, he had “no recollection” of his declaration. Nell Gwynn cumly? How very revealing, Dictionary or decent sub-editor required.